The first day of school is really fun. It’s full of fresh starts, new goals, friends and happy chatter. When you spend a little time getting ready for the first day… it’s even better! 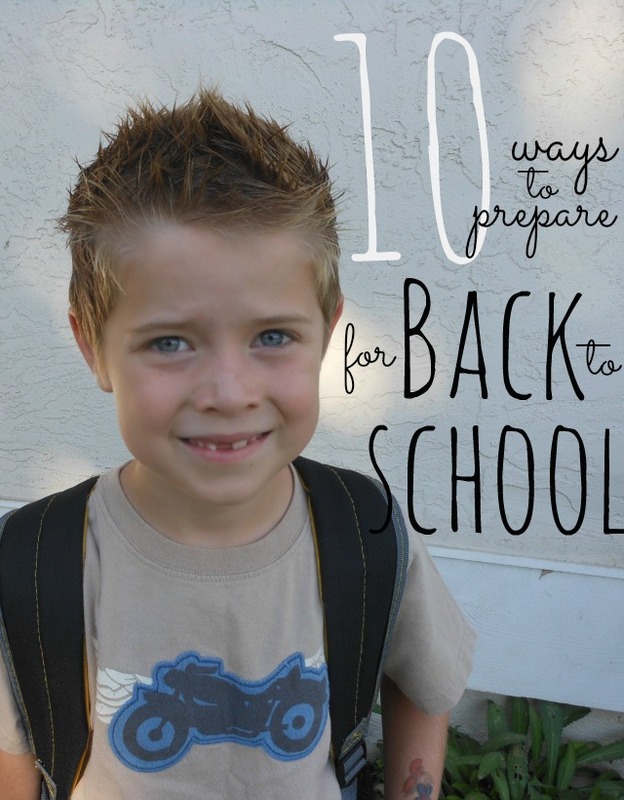 Today I want to focus on the practical ways to get ready for the first day of school. Of course you’ll also want to make it extra special. Make sure everyone is well rested — Starting a new school year is full of excitement, anxiousness and maybe even a little nervous energy. All of those emotions will be easier to handle if the kids have had enough sleep. We just happen to use a bedtime trick that works like magic… trust me better bedtimes are headed your way. Have your school routine running before school starts — Get back into a regular routine a week or two before the first day of school. Summer is all about bending the routine, stretching the rules and enjoying a lazy schedule. Getting the kids used to waking up early, being places on time and settling in at night will take a little pressure off making a ton of changes all at once. Remember summer fondly— Make a point to chat about your favorite parts of summer. Have some family art time where everyone draws something they loved about this summer. Or add it into your dinner conversation, go around the table and invite everyone to tell their “best and worst about summer”. Get ready for special lunches — It’s fun for beginning readers to have a simple message they can read tucked into their lunch box. For kids who aren’t reading yet a photo or hand drawn picture would surely make them smile. Or mix it up with one of these unique ways to show lunch box love. Make sure your camera is ready — Charge the batteries, empty the memory card, put it in your purse… whatever it will take to make sure your camera is ready for the first day pictures. Set goals for the upcoming year — Casually talk about what your kids hope to learn and accomplish in the school year to come. Or take it a step further, writing out 3 goals that you can save until the end of the school year. This makes a great way to track how far they’ve come! Think about how you can help — Every parent has different strengths and abilities. 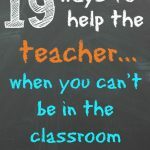 There are a lot of ways to help when working in the classroom doesn’t work for you. Check out this volunteer list straight from the mouths of teachers! Start a breakfast tradition — Make the first breakfast back fun, healthy and filling. Take the first day off — Plan on spending a little extra time at the school for filling out paperwork, getting your little one comfortable and chatting with other parents. If you work, try to take the morning off. If you are a stay at home parent, save chores for the second day! How do you get your family ready for the first day of school? 20 Moms make Back to School special! Great ideas! I just bought Colin his outfit for the first day of school. Made me want to cry:). They grow up so fast. I really like the idea of talking about goals. We usually start moving bedtimes 10 min earlier a week before and discussing expectations for morning routine.